Do you know a Super Dad? Help your hero show off his personal style. 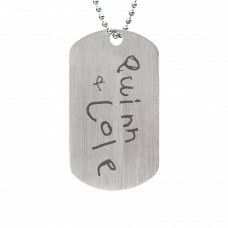 Choose Dog Tags to show off family or POSH Cufflinks for a more professional look. Whatever the personality of the dad in your life, treat him to a modern, sentimental piece that he will treasure forever. Daddies want to show off their babies too! Stamp up to five lines on this masculine statement of family pride! Daddies want to show off their babies too! 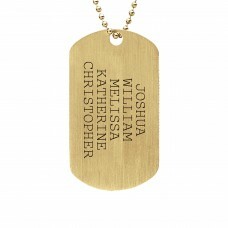 Engrave your a special handwritten message on this masculine statement of family pride! PLEASE NAME YOUR FILE WITH WHAT IS TO BE ENGRAVED. File name should match engraved message. 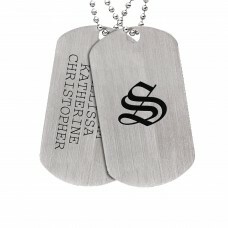 Our silver Daddy Dog Tag makes a big statement with a Crest on the front and the names of his littles on the back. This is a great way for any dad to show off his family and his family pride. POSH Block Mono is a modern classic for Daddy. 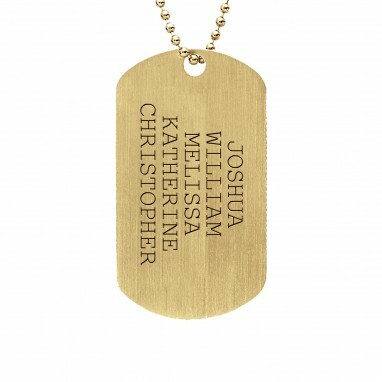 Engrave those he holds dear on the back of the piece. Choose a ball chain or curb chain. 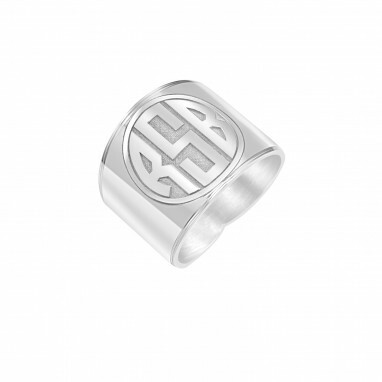 Complete your look with a POSH Monogram ring in Vintage Block font. 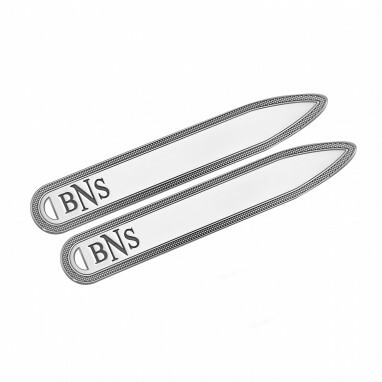 Available in a wide variety of metal types and colors, it is guaranteed to make an impression. 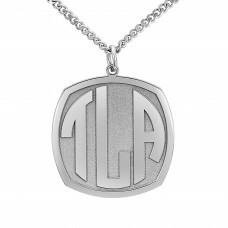 Personalize with your initials or the initials of your two or three littles. 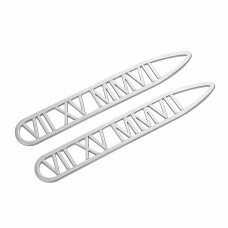 Mark the special day of the birth of your baby, the day you said I DO, or the day you earned your PhD with a Roman Numeral Date Collar Stays. 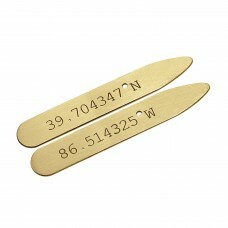 Give Coordinates Collar Stays to your groom and mark the special day with the coordinates of where you two were married! Engrave your favorite names on the love of your life's collar stays. Engrave your wedding date on the grooms collar stays. Engrave his favorite littles handwriting on Dad's collar stays. PLEASE NAME YOUR FILE WITH WHAT IS TO BE ENGRAVED. File name should match engraved message. 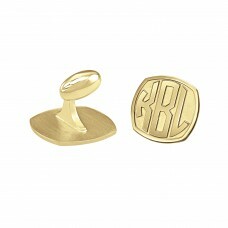 Dad will rock the meeting room, family night, or any event wearing these POSH Disc Cufflinks. 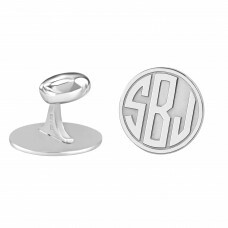 POSH Script Monogram Round Cufflinks are the perfect choice for the stylish dad. 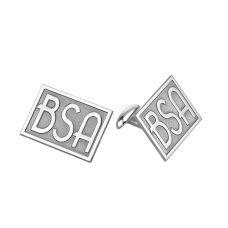 Available in sterling silver (white, yellow or rose) Dad will make a statement in POSH Cufflinks at work or play. 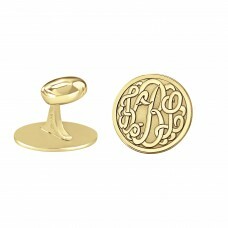 POSH Block Monogram Round Cufflinks are the perfect preppy choice for any dad. Available in sterling silver (white, yellow or rose) Dad will make a statement in POSH Cufflinks at work or play. 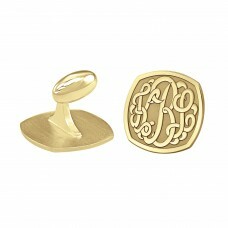 POSH Script Monogram Cushion Cufflinks are a classic. Available in sterling silver (white, yellow or rose) Dad will make a statement in POSH Cufflinks at work or play. POSH Deco Monogram Cufflinks are the perfect choice for the modern dad. Available in sterling silver (white, yellow or rose) Dad can make a statment with POSH Cufflinks at work or play. 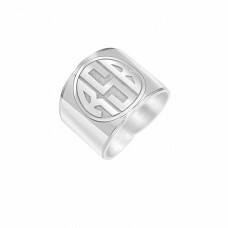 POSH Block Monogram Cufflinks are available in sterling silver (white, yellow or rose). 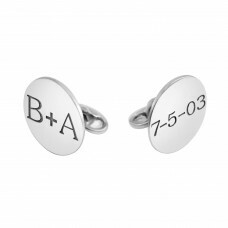 Dad can make a statement with POSH Cufflinks at work or play.